Formed in 1998 Kiwi-Kraft has established a reputation for excellence in aluminium, cutting edge design, as well as first-class workmanship and attention to detail. Established in 1988, Kiwi-Kraft is privately owned and based in Southland. Their reputation has gained them a strong domestic and international market, and they have exported boats (under the Aqualine brand name) to countries such as Australia, Japan, New Caledonia, Bali, Fiji, Wallace Island, USA and Italy. Unlike other constructors that fold and roll their hulls, Kiwi-Kraft weld this crucial element giving a smoother, stronger keel joint. Kiwi-Kraft's tradesmen also spend a great deal of time ensuring all welds throughout the structure are smooth and seamless. This gives additional strength and a better finish. Kiwi-Kraft's systems and work ethics are so good its Workshop Quality Assurance Manual for alloy boat construction has been used by NZ Maritime Safety Authority as a benchmark for aluminium boat construction within New Zealand. Specialists in aluminium work, custom boats and construction of leisure boats to 8.5m in length Kiwi-Kraft currently produce around 150 aluminium boats annually, ranging from 3.6m to 8.5m. 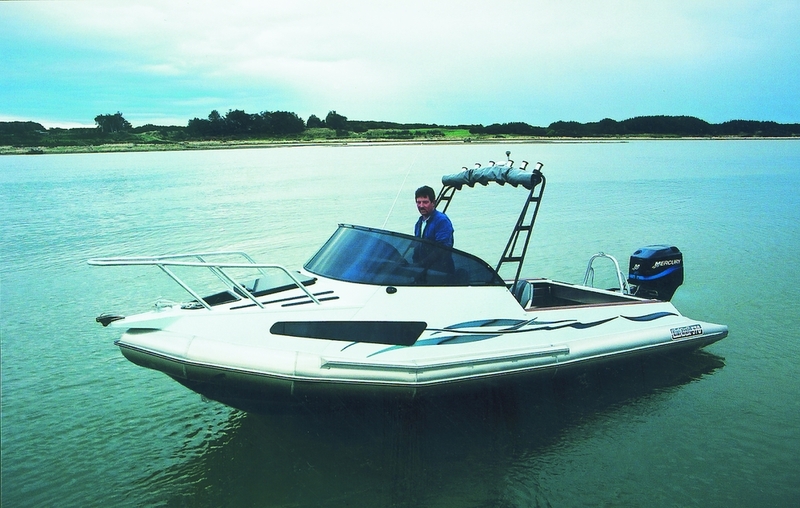 All Kiwi-Kraft boats are positive buoyancy boats, making them virtually unsinkable, even when full of water and with a full contingent of passengers. In addition all Kiwi-Kraft models are built to Coastguard specification (CPC NZ). Two models; 440 and 505 are rescue boat certified to a worldwide classification. The company has recently been assessed and conforms to a tertiary standard under the ACC Workplace Safety Management practices, number 3 rating. - Member of Marine Industry Assn, CPC Certified Standards. - Welding to the NZ Marine aluminium certificate standards. - All boat design approved for survey by the SGSM&I. The company has a stable and highly trained workforce of 16 employees and retails boats through 12 dealers nationwide. 2000 m2 (22,000 ft2) boat building workshop serviced by three cranes and one forklift. PO Box 298, Invercargill, New Zealand.